We take a look inside The Atlas Building which rises above the City like a modern pyramid made from glass and steel, straddling the border between the Square Mile and East London. Straddling the border between the Square Mile and Old Street, the Atlas Building takes in the best bits of both the City and East London. 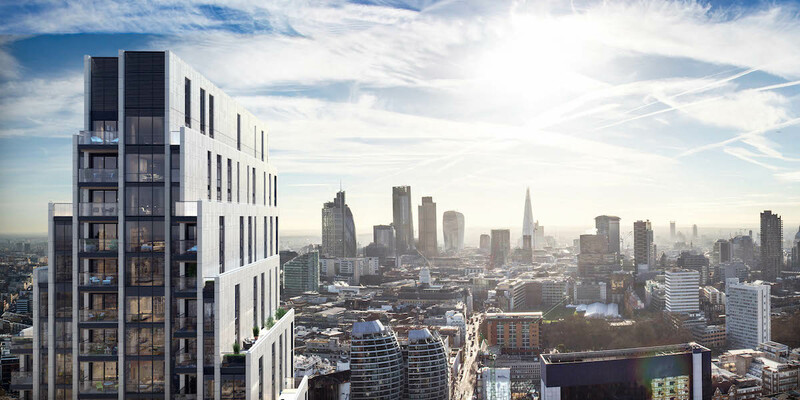 At 152metres tall, it is Tech City’s newest and tallest residential addition, towering over all its surrounds. Ken Shuttleworth’s award-winning architecture practice MAKE has designed the building around nine enormous architectural blades, with a staggered design which creates a series of balconies and terraces. It stands out like a modern day pyramid – only made of steel and glass instead of stone. 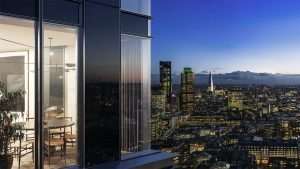 This state-of-the-art design maximises the building’s unbelievable views across the City, which take in some of London’s most beloved landmarks, including the Shard and St Paul’s Cathedral. 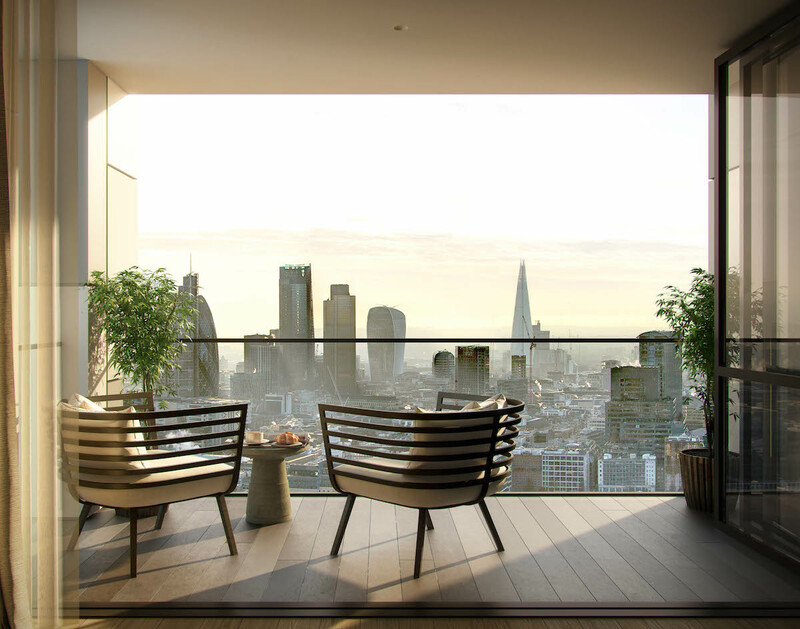 Indeed, very few residential buildings boast uninterrupted views across London while maintaining access to a vibrant cultural community like that of East London. The 40-storey tower is comprised of 302 studio, one, two and three-bedroom apartments and an exclusive selection of luxurious penthouses. The interiors of each space have been specially designed by the global architectural and design firm Woods Bagot to mimic the exterior’s blend of grandeur and simplicity. The Atlas Building also boasts an impressive range of lifestyle amenities for residents, including a gym, spa, swimming pool, cinema room, and private residents’ lounge set on a mezzanine level above the ground floor. Alongside all this, residents benefit from 24-hour concierge and security, a public piazza, new retail spaces, and a 10-storey office building spanning 80,000sq ft, which is home to co-working company WeWork. It is set to become a destination in itself. Andrew Hawkins, director of Rocket Properties, describes The Atlas Building as a “winning combination of world-class architecture and design, an impressive lifestyle and amenity offering, and an unrivalled location in the heart of one of London’s most exciting destinations”. One of the biggest draw cars of the Atlas Building is its location. 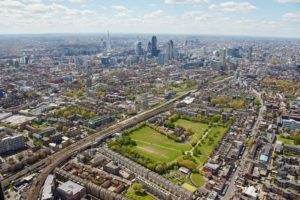 You’ll find it perched right on the boundary of the City and Old Street, giving buyers the ease of getting into work with all the benefits of being right by trendy East London. It is just a short walk from Old Street and Liverpool Street Stations, and has countless buses passing by. Its proximity to Shoreditch also means buyers will never be far from good coffee, Michelin-starred restaurants, galleries, boutique retail stores, and a never-ending nightlife. The scrappy Hoxton Market and vibrant Columbia Road Flower Market are just a short stroll away, too. 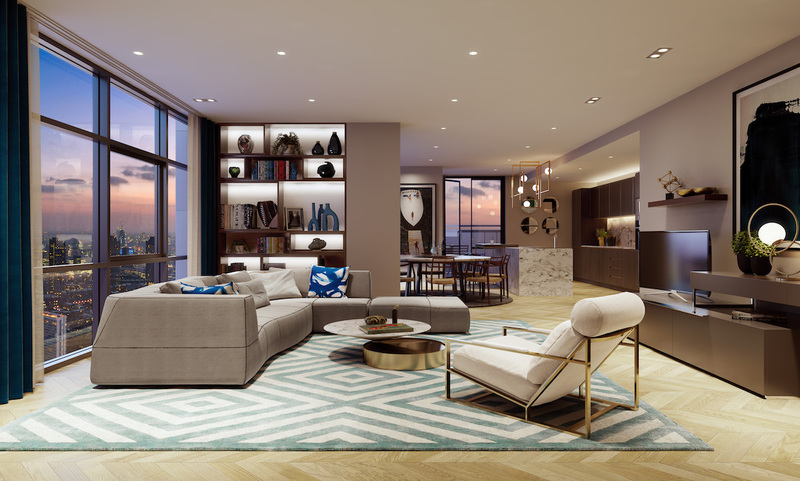 Prices for a two-bedroom apartment start at £1,037,000. The Atlas Building is anticipated to complete in spring/summer 2019. Could City developments be the answer to shrinking studio space?